This New Orleans tour is a ghost lover's trick and a skeptic's treat. You'll hear celebrated stories of ghosts and gore will be the centerpiece of the experience. Notorious tales will be told with dramatic flair, followed by historical tidbits and factual references that shed a discerning light on the topic. This 2-hour tour is an entertaining twist on a perennial favorite tour option. There is a maximum of 12 travelers allowed in this public, group tour and is offered evenings at 6pm. Dress comfortably as this is a walking tour. In event of inclement weather, bring an umbrella or prepare accordingly because tours will still happen, rain or shine. Additional stops might be included along the way. Any food and drinks are not included in the price of this tour. This is a 2-hour walking tour through the New Orleans French Quarter that explores stories of ghosts and gore including notorious tales and historical facts. 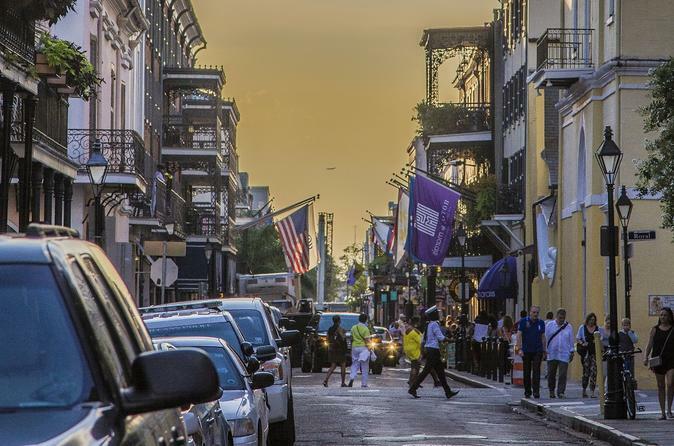 You'll meet up at 6pm at the departure location in the French Quarter. From there, your guide will take you to many storied locations in the city. Along the way, falsehoods will be debunked using historical facts while, surprisingly, other tales become more credible for the same reason. You will hear the details of the famous Sultan's Massacre. You will then hear more plausible tales at the La Laurie Mansion. The tour ends with eerie tales more solidly placed in fact, such as that of the first great fire of New Orleans. The tour ends outside of a haunted bar just off of Jackson Square.